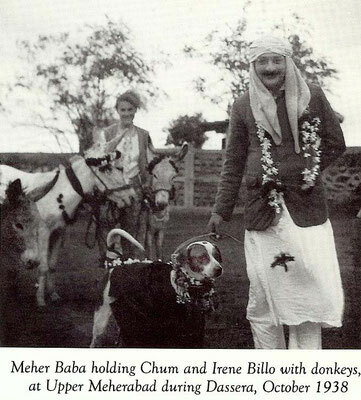 Irene Billo - meherbabatravels jimdo page! 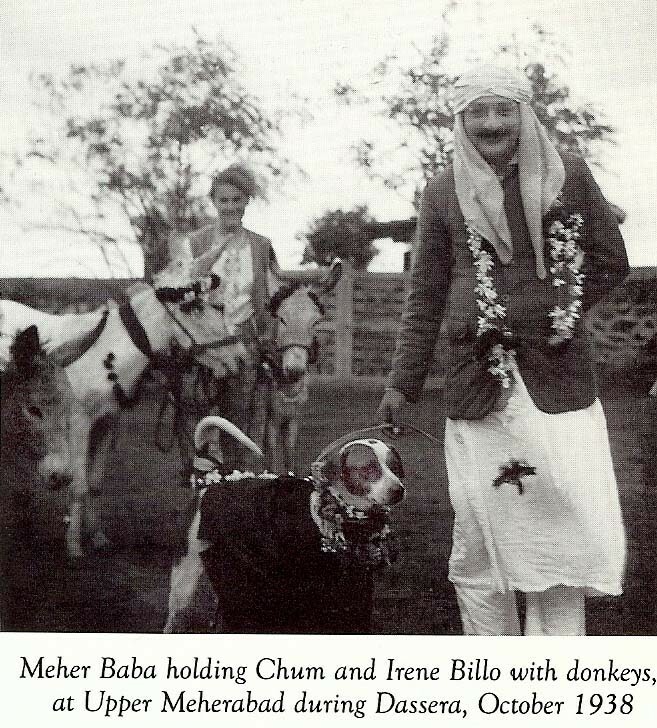 Irene Billo, from the small mountain village of Heiden, Switzerland, met Meher Baba on His 1937 visit to Europe. 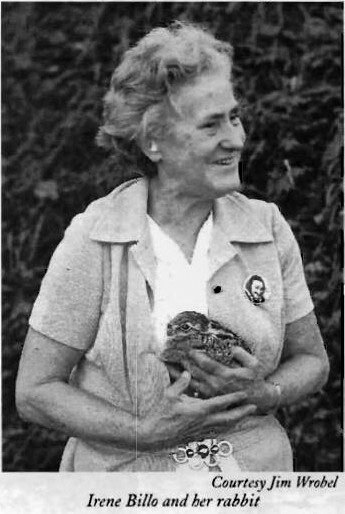 Swept off her feet, Irene left soon thereafter by ship for India where she lived in the woman's ashram for eight years. Articulate in English, Irene recounts her experience with both lighthearted humor and spiritual sophistication. Her manner is lively; her heart warm. 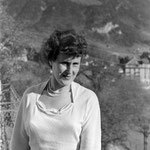 Irene offers a valuable European perspective as well as bringing to life the obscure figure of her friend, Helen Dahm, the Swiss artist who created the murals inside Meher Baba's Samadhi on Meherabad Hill. Filmed on location in Switzerland, 1984. Edited by Bill Haviland. 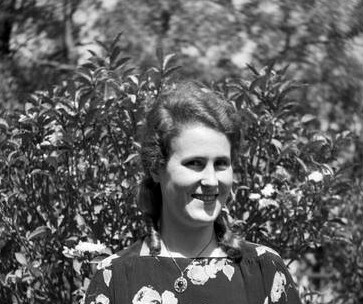 Irene Billo’s father - Otto had died at the end of October 1940. 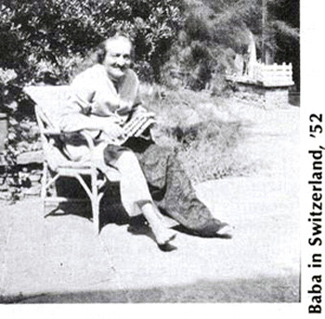 Otto had met Meher Baba in Switzerland. Discussing his death, Baba informed her: “You should be happy. Your father was very lucky. He died like Vivekananda, without suffering. He is free. "All relations of those who are with me, whether they know me or not, or even if they do not believe in me, get salvation. Krishna has said, 'Seventy-two generations of such lucky ones get Liberation - Mukti.'" Baba and the four mandali who accompanied Him took off from the Santa Cruz airport in Bombay on the midnight of July 16, 1956. 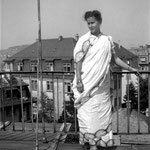 On His airway to London, at Zurich, Switzerland, on the afternoon of July 17th, Baba met about 40 devotees invited by Irene Billo, including Dr. Arvind, an Indian student of Dr. Jung, Dr. Bose and Dr. Shoebel. Baba met all the visitors, gave a short discourse, and blessed them all. 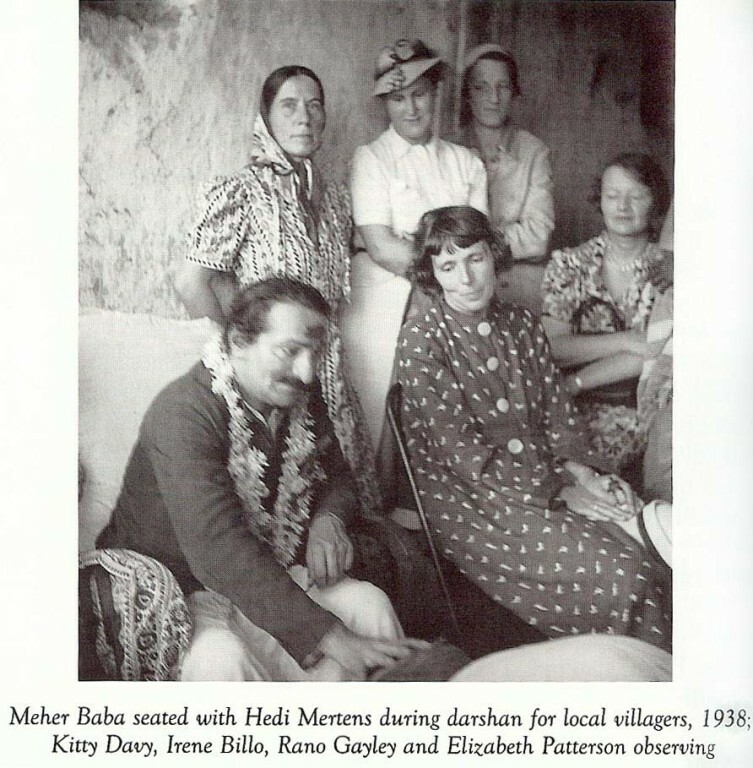 Irene Billo, Hedi Mertens and Max Häfliger accompanied Baba to London. in Switzerland and in India. From a talk given at Myrtle Beach South Carolina, 1981. 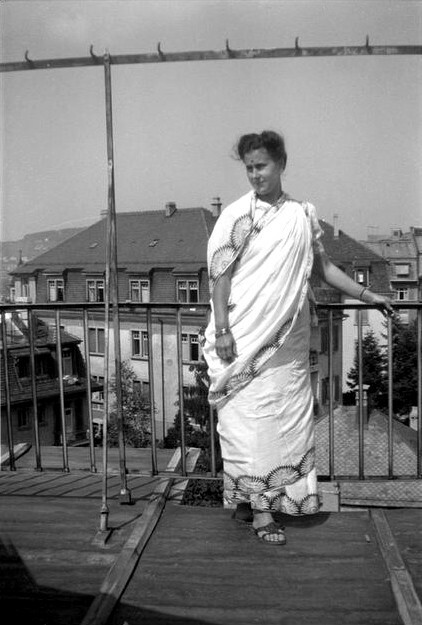 Though I am called Irene in Switzerland, in India I was called Padma. Padma was a Rajput princess and there's a nice story about it. I felt quite flattered by having that name. Once Mehera embroidered a brooch for me in the form of a lotus (Padma) with Baba's hair and nails. I have it at home but I do not carry it with me because I am afraid it might get lost. Now, I think you'll probably like most to know how I came to Baba. I used to steal chocolates from my father's private office at home; he always hid it from me, it was a game. But then one day I felt tempted to open his secret cupboard which was in a book case with glass doors and a curtain. I opened it and there I saw Baba's photo. That struck me so much, — almost as if I had seen Baba, as if He had been personally present. I can say this now, because later, when I met Baba, I had exactly the same impression: it was something too great to find words for. So I went to my mother and told her I had seen this photo, and asked her, Who was this man? Then she gave me the booklet "Questions and Answers" in German, which had been translated by Walter Mertens. I must say I am not intellectually spiritual. I like love and direct contact. Still I read it. From that time on I went to the meetings at Hedi Merten's place. Then Baba came to Switzerland again, and I asked if I could see Him. But at the last moment I felt He could see all my heart; and when one is a young girl, one thinks one has things to hide, which really one hasn't. There really wasn't anything I could have hidden but I felt I had a secret, so I didn't go. When my parents came back, I cried the whole night, and I felt I had done something wrong not to go. Baba had said someone He had expected hadn't come. So I went to these meetings at Hedi's place and the photo which my father had given me was always in my room. Suddenly they said Baba would come to Cannes in France. Kitty Davy rang up Hedi to ask for someone to help in the household there. Hedi said, I can't send my daughter because she is not good in household work, but in artistic things. But I didn't mind doing anything, although we had servants at home. So I said, "I'll come, but tomorrow I have a meeting with some friends, the next day something else and after four days I can go." Then Hedi said, "Look here my dear child, this won't work with a Master. Either you say no or yes. It's a razor's edge you walk on here!" So I said, "Alright, I cancel everything and go". I went to Cannes and there I was met by Elizabeth Patterson at the station. She was very kind but I immediately felt it was the way one greets a servant. But I thought I won't mind, I have come to help, if she thinks I'm a servant, it doesn't matter, I'm just there. So I went up to Villa Caldana and I saw Baba. I had exactly the same impression, the same feeling that I had when I saw His photo. So His photo was as strong as His own personality. I stayed in Cannes. I won't tell about that time because others have told so much. Once it sort of slipped out of my mouth, Could I also come to India one day? They said, Oh, you don't know what you are in for, it's too difficult for Europeans, we have seen the difficulties in Nasik. I thought, Well, I have asked! Months later Kitty wrote to Hedi to ask if some of us could come to India. Afterwards I went to India but that is another story. But this is how I came to Baba. It was through my parents who had been some of the first people who met Baba when He came to Switzerland for the first time. Q: What were your impressions of Baba that time when you saw him in Cannes? like that of a giant. So I experienced Baba in many different ways in Cannes. I am a down-to-earth person otherwise, but I think I was walking above the ground there. I was taken completely off my feet, away from everything.I knew I couldn't explain this, but I knew Baba was very great. Later I found out, the greatest; but at that time I must have felt it instinctively. I didn't need to have any proof because He was great, otherwise I probably would not have asked about coming to India, or was made to ask. You know there are big stories, I could talk all afternoon about Cannes. When we were with Baba in India we always felt we didn't obey Him, we disappointed Him, we didn't get onwards spiritually. Even if we don't ask for high things, we feel we fail, we're not humble enough, we don't do as He would like us to be, eh? 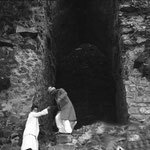 So one day I asked Baba, "Baba, I don't know, I seem to be stuck, I'm not getting further." Baba first pointed on His alphabet board to talk about steps; then, with His fingers he made like this (gesture): "You go up two steps and then you go one back; then again you go up two steps and go back one". Always two steps and one back. That means you are advancing, but if you know you are advanced you might get the most terrible thing one can get near a Master, that is, spiritual pride. If you feel advanced, you might not strive so much anymore, and you might fall back, because of pride. So I think Baba is very kind to let us go two steps up at a time and one back! We always think we're not advancing, but that's so we can really keep firm, so we will want to obey Baba's orders. Really, it's very important to know this, because, if one gets disappointed or disheartened, and thinks it doesn't go further, it does go further, if we are very earnest. But it goes, as I said, two steps up and one step back. Baba told this to me privately once when I was very sad, from not obeying, not doing what I should do. I felt I disappointed Baba. It's something so small but I think it makes a world of difference if you remember it and never leave off trying to go up the stairs. Even if you feel you are going back, you've fallen down the stairs. I think you have pride in anything you want, you can even be proud of all sorts of things, even good looks! But never have spiritual pride, that's downfall, the worst thing. That's not for us, to my way of thinking. I think also Baba used to say that. 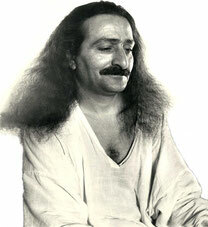 There's a little story of how a Master works, from Hazrat Babajan. Babajan was sitting under a tree and all were sitting around her, including some very rich Parsi women who are, you know, very particular about being clean. Now Masters can always read what we are thinking. When we were with Baba He also read our thoughts and He would say "What are you thinking of?" or "What are you dreaming of?" and He caught us. You see that also teaches us to control the mind. I think that is very important, because we think the mind is not seen, we sneak around in the mind and think things, and we don't believe thoughts are actions. If we think something bad, it's like throwing a stone in water, it recircles. So we should try to keep our minds clean if we can of course. I don't say I can always do that but it's worth while trying. So the Masters find us out. 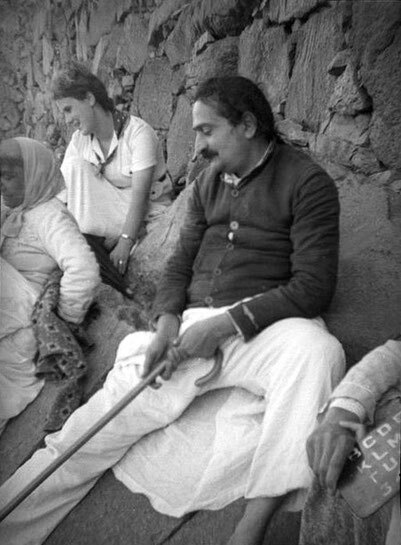 Babajan was sitting there and all these people were looking at her and being happy and everything, and suddenly a poor old leprous woman came along, and she brought sweets to Babajan. 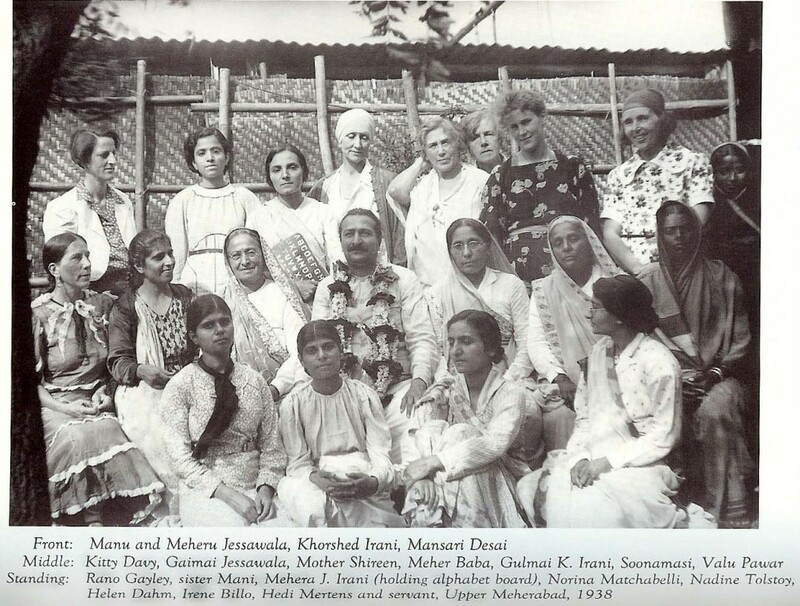 Naturally in their minds, especially of those rich Parsi ladies, comes the thought, "I hope Babajan doesn't give us the sweets of this leprous woman — which are contagious!" I don't recall where I got this story but it was from someone who was present. So Babajan just beckoned to that most famous Parsi lady and gave her the prasad. She wanted to put it away in her bag, you see, to sort of make believe she was going to eat it, but Babajan made her eat it in front of her. Baba always used to say "You obey in big things, but in small things you won't listen, for small things you fail and big things you might do for Me." Babajan saw that this lady thought "I hope I won't get this dirty sweet, this contagious sweet to eat." But luckily she did eat it because it would have been very bad. If you don't take prasad from a Master it's the worst you can do. "We were all called to Baba in the evening, who gave directions for the next day, and I had to drive because the hand of my husband had become seriously ill during the day. We started early in the morning; we had a big car, but it had to take up Baba, four mandali, and my husband and myself and of course all the luggage. I don't know how, but fortunately all found a place. We went down a steep slope to start, but we hadn't started without putting all responsibility on Baba. We went along the lake of Zurich for half an hour; all still quiet, almost no people on the road, passing village after village. Baba wanted me to drive quickly so I did. Before starting I had adjusted my back mirror so I could see Baba's face. He was seated in the back between two mandali, He had His head deeply wrapped up in a big shawl, His face all in the shade. For a long moment I couldn't look away. Though I kept the wheel in my hands, I felt my own action was slipping off, and we were driving as if on a cushion; the wheels scarcely touched the ground. I was keeping my eyes always fixed on Baba in the mirror. I saw His face. (Imagine driving with the face — don't know how she drove!) I saw His face getting warmer and at that same time I was strongly drawn to the wheel (where Baba pushed her to look where she was driving!). "We had crossed a bad road across the lake of Zurich, with holes all over, and I tried to drive very carefully. Again, I saw Baba's face very clear and radiant. Then I felt as if I were discharged from a circle and I was driving very easily. "Thus carefully and slowly we arrived at the mountains. Now we had to climb a very narrow mountain road where they drove the cattle to the high meadows. The road was fenced in on both sides and partitioned with wooden gates, so we had to stop again and again to open and shut the gates. The weather was splendid, the world on holiday, and the narrow road required my whole attention; I had to concentrate on it, at the same time I experienced something very strange that never happened before. From my face got loose something like a very fine mask, Baba's face, then a second and a third followed; they were the different faces of Baba's face that I had seen in the back mirror. At the same time I felt very calm. We had reached the top of the pass. The road went down and so we came to the junction where Baba and the men got out. Baba asked me to drive down alone to Schwyz, to join my friends there and try to keep alone. Exactly at 7 o'clock I had to be back at the junction. "Then I took leave of my friends and started two hours too early driving back to the junction. I remembered and I did all in natural calm, opening and closing the gates, getting out and in the car again, driving around the cows, which the herdsmen were controlling. I had no watch and watched no time. At 5 past, all were happy and Baba said that He had done good work. On top of the pass we had coffee in the restaurant Ibergeregg amidst merry mountain peasants. Soon afterwards we drove home; the road was stony, wet and washed out. The cows stayed under the fir trees so we were unhampered until we met a man who drove his goats and sheep through the valley. He was annoyed and refused to drive the animals to the water to let us pass. When I claxoned, Baba patted my shoulder. "Why so impatient? the peasant was never in such good company." A short time afterwards the animals broke through a gate and our way was free and we drove home, where we were welcomed by all those who had stayed behind. "Baba called us all in His room and told us all about his meeting with advanced souls of Switzerland. He had drawn a circle around it so it would not be involved in the coming war. He told us details and said that the mandali had been at the border of the wood. They had to stay behind and keep everyone away from entering the forest by reasons of "electrical experiments". In case some poor farmer suffered some loss, because they were hindered from working in the forest, they were to be paid a full compensation. Baba was accompanied only by Kaka. He was bedded at his place and guarded. I had related what I had seen from Schwyz in the valley during the storm and described the light on Baba's mountain pulpit. At this place no rain fell; the light around Baba was so strong that the radiation would have killed anybody who was not prepared for it. "My thoughts wandered to my childhood . . . "
I think it's not important, it's about Francis of Assisi, so also about the light. 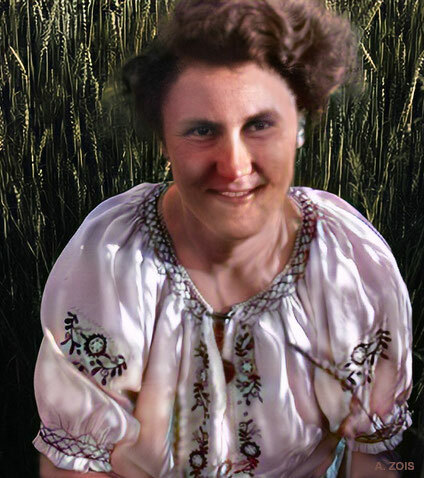 Now let’s see, I sum it up: On July 12, 1934, Baba went into seclusion on Fallenfluh. He held a meeting with high spirits. One can reach Fallenfluh by car or post-car from Schwyz direct to Ibergeregg and . . . here . . . this shows how one can find it . . .
After the war, when I was back in Switzerland, I met one of the highest German generals, a flyer, who was photographed with Goering, with all those biggest people who knew about the war; and he told me they couldn't understand it; it was all planned that they wouldn't have to fight for Switzerland, just take it in passing, but they couldn’t get into Switzerland, not even with all the plans they made. I told him "I tell you why” — and I explained it to him . 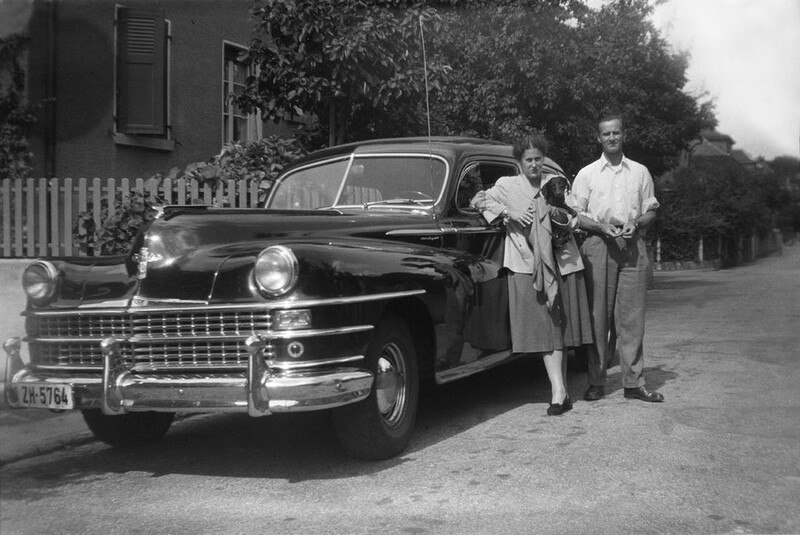 . . That was in 1951 — before Baba came back to the Italian part of Switzerland, after the accident in America. That man said he would be willing to help me write a book if I wanted, but the next year he crashed in Argentina. He had been at the highest German war meetings and it was a miracle to them that they couldn't enter Switzerland. But it was Baba 's miracle . . . that's my story. Kitty: Do you want to talk about Cannes? In 1952 after Baba had been in the accident in America it was said He would like to come and have a rest in Switzerland. I was told to arrange things. 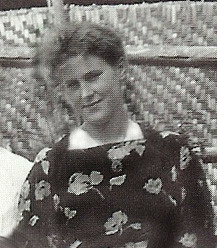 Hedi arranged to have the house next to hers which belonged to a professor. 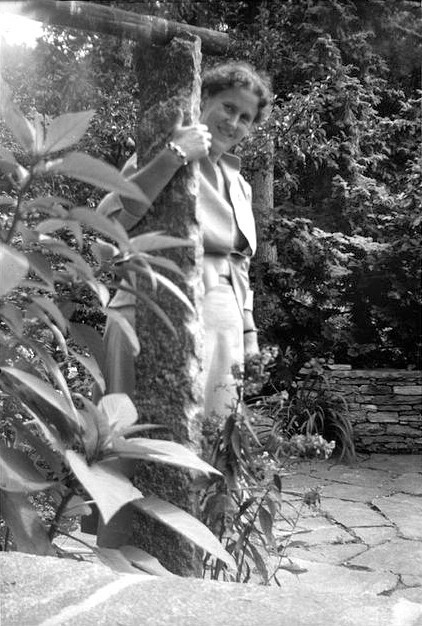 She lived then at Solduno near Locarno. I told her we must have another house for the ladies, one house for Baba and a house further off for the mandali. 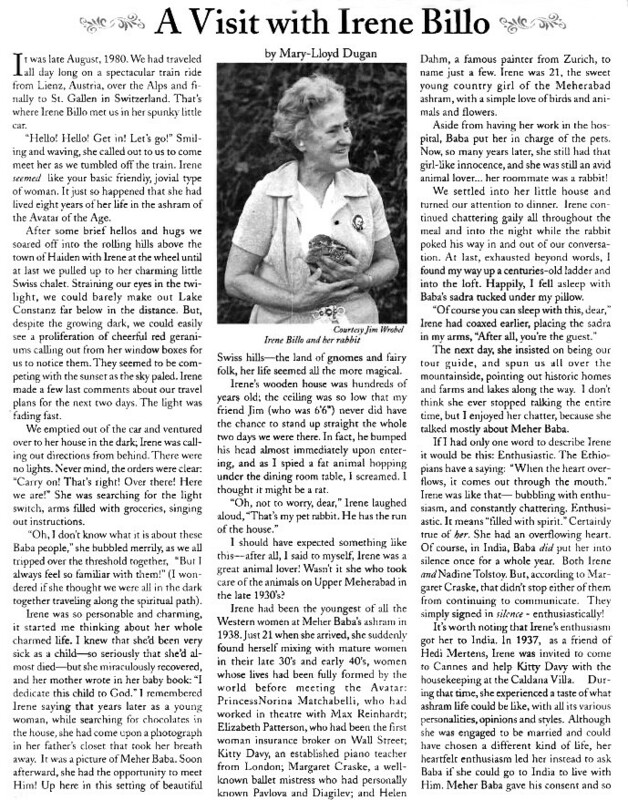 I talked to Gisela Häfliger to see if she could come and cook for Baba and the ladies' group, and if Max could take his holiday and look after the men at the other house. The point was how to meet Baba at the airport when He was so badly injured. We bought wheelchairs and we found two very nice men with huge cars, very nice cars. So we met Baba at the airport. The driver Baba chose to go in his car was like a bear, a big strong man but really he was like a child. We drove down — it is quite far if you look on the map from Kloten near Zurich over the Gotthard Pass. 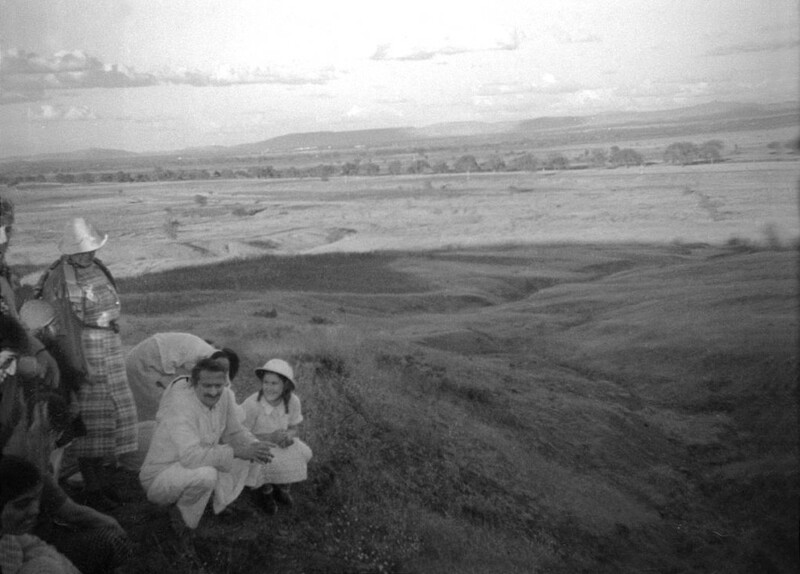 At that time you had to drive over the pass (now they have a road underneath). We drove down to Hedi's place and Baba was very pleased because it had a lovely garden. I have quite a number of photos but I didn't bring any of my books. I left them at home. I thought if they got lost on the plane they are lost forever. I brought only a few photos of Baba in the garden. I was also obliged to take my two nephews from Germany with me. I put one in a pension because he was old enough; the smaller one I had to take with me; he was 12-13. Baba liked him so much, He said he should be His little night watch man. Of course I was very happy that he could be of some use, and he was happy with Baba. Baba had to learn to walk again. I also have photos where Don and Sarosh and Meherji are all helping Baba to begin walking again. He used to sit in that garden with all the lovely big trees; He didn't see many people in Solduno. Also, for Mehera, who never before went out in public, we found a very excellent Dr. with the help of Hedi, who treated Mehera, because she still had that wound on her forehead. She was taken to the doctor by this "bear". We used to call him "bear". I think Rano went with them. I don't know many details but these are some of the things Baba said: He wanted to go to the mountains in Switzerland near St. Moritz. It’s very difficult to go from Locarno to Maloya Pass, you have to cross the border at least twice; from Switzerland you go into Italy and again you switch over, you have to make such a big detour, you can't make it in a day. The problem was how to get the visas, because at that time it was always very difficult to go to Italy except for us Swiss. We had to get visas for everybody, English, Indian, German, whoever was there. Friday night I called up the consulate in Locarno and said we must have visas immediately. They said Saturday no one works. I said never mind, you will have to work, we must have visas. They were the Italian consulate, I know those Italians. They fall on women, you know. So one must make use of them. So I open my hair and combed it nicely and I made myself look nice and I wore a dress which was a little bit open, a green dress, with apples on it! You know, I was sort of being a catchy female, which I wasn't otherwise. But you see Baba makes use of everything, everything is alright, it's not bad if you don't go too far!! I went there and I said, Look here, I have the passports. I looked at him very sweetly and said, I have to have six entry and exit visas for each passport, but he said we can only one. I replied, Excuse me, it doesn't work, I have to have six. I don't remember now what all I said but anyhow I came home with six visas of entry and exit from Switzerland to Italy. So we left. I had ordered special food in the hotel in the Maloya Pass (I also have a photo from there, even one with Mehera) because at that time Baba had great difficulty in eating. His jaw had been broken in the accident So we had to order food He could eat easily. We had ordered a separate room in the hotel where they could serve us. My mother was there before we were. We drove up there and every time we passed the front they almost bowed down. They thought we were very important people — of course Baba was. All these different types, varieties, nationalities and all having so many different exits and entrances. This was Baba's work. I think things like this are just as important as any other spiritual work, they have spiritual significance. It was my mother 's luck that Baba had driven to visit her, at Maloya Pass, although He still was not able to walk. We had to bring the wheel chair and everything. When we went back again, it was a nice drive for the girls, to see more of Switzerland and the mountains. They are very high, almost 2,000 meters. We also went another day back the other way down to the Borromean Islands which are at the end of Lake Locarno, Lago Maggiore, it's called. Baba wanted to see the islands too, He wanted to show them to the girls. But now comes the funny part. Sarosh and Meherji came up to me and said, "Look here, Irene, you must help us." Sometimes, you know, in olden times, they would make one big cigar when they were told to smoke only one, or if Baba said, one cup of tea, they took a big mug to trick the Master a little bit, but it's no good tricking Him, He'll find you out. So Sarosh and Meherji said, "Look here, we have nice wives at home, we want to buy watches for them at Geneva." They could have bought them at Locarno, I don't know why I didn't suggest it. So I said, "All right, I'll help you." I talked to the 'bear,' because we had sent the other drivers back, we needed only one car. I said to him, "Now, tell me exactly how long do you need to go over the Simplon Pass to Geneva; let it be three or four hours more — because then it's you who said it. (I didn't tell any stories to Baba.) You tell me how many hours you need". So I show the sketch to Baba and He said It's alright, its fine, they can leave at that time. They said goodbye, embraced Baba and left. The driver came home very late at night and he said to me, "I think your Master is very dangerous because you know at the top of the Simplon Pass a stone got into the crossbars underneath the car." (I don't know what you call them in America). To get this out, you're lucky if the car is not damaged. They got someone to fix it so they could go on, and they arrived at the airport just in time to get their luggage on, and enter the plane. And no buying jewelry or watches or whatever for their wives! They were not meant to buy anything. I reminded Meherji when he was here, recently, and he said he didn't recall the incident, but I never forgot it because it's so wonderful. Why try to play tricks on the Master? It's no good. What you learn is not even to try, because He will say Yes, with a sweet smile and then He'll put the stone in your way and you will arrive at the time when He wants you to. We talked about which way to go and we rang up Geneva and we talked backwards and forwards. We were slowly getting a bit short of money also. So we drove to Geneva and it was a wonderful day. 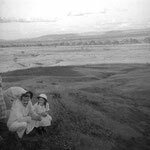 (I have a photo of Baba and Mehera in the car, it has sort of a ball on it, it looks like a balloon, it's so misty on the photo.) We picnicked along the way. It's a long way, you can see on the map. In Geneva we stayed at the Hotel Cornavin. Dr. Donkin and I had to look after things, by going to the travel agencies; they told us there was a lockout on the ground at the airport in Bombay. No planes were landing in Bombay. So we had to bring this news back to Baba. Now at that time they called me "the General;" maybe it's a bit flattering to me, because I was directing everything but I liked that directing business! Donkin and I were sent every few minutes to that awful travel agency. They looked at us as if we weren't quite right in the head but we had to go. I felt almost ashamed, I always tried to find an excuse, like doing something for the girls, just so I wouldn't have to go there all the time; but we did it because we felt Baba might have other reasons. We found out Baba could fly back via Pakistan, but at that time Pakistan had no representative in Switzerland, it was done through the Indian consulate. 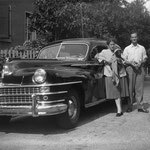 But when we rang up there, Don and I, they said, everybody has to appear personally from Geneva to Bern, and you know how Baba likes these things. Yet, they knew me, because the year before, when Nehru had come to Switzerland, I met him. He came because his wife had died in Switzerland. Now I just put in this sidelight. About 500 or 600 people came to meet him and I was invited there also. Really I don't know why, because usually there were people with big names, head managers, government people, all the "big shots". 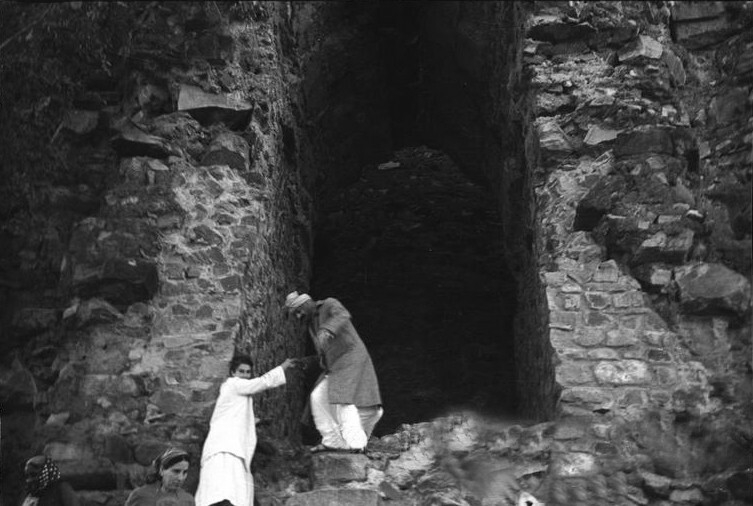 But I stayed there talking to people I knew, and suddenly Nehru came straight towards me. You see he was always told who was who, whom to talk to, because he wanted to meet big people for business connections. Nobody told him to meet me, because I was not "someone", but he came straight towards me, and shook hands with me and I said, "Oh, I'm very happy to meet you, India is like my home, I've stayed in Meher Baba's ashram." And he said "Yes, I know Him." So I felt that this was really a link a that Baba had made with Switzerland, because why should Nehru greet me, — I wasn't any startling beauty or well known or anything. I think that is always Baba's work. Maybe that helped with what comes now, because other people saw it. I rang up another lady and I said, "Now, look here, it's not possible for these people to come to the legation. Is it alright if I come with Major Donkin?" I deliberately used his title. "I'll bring all the passports and you will give me the visas for Pakistan." They were so perplexed because I was playing the general, that they couldn't say no. But of course it wasn’t me at all, it was only Baba's work because He wanted it to go that way. But another thing was Goher. I'm sure you know Dr. Goher who is a nice person. But she kept on asking always for this and that, hair dye, hair net, etc., for her and her relations. I was always worried there won't be enough money to pay for the hotel because we were staying longer. I got so angry, tho I liked her so much. But of course it was Baba pushing her to make it difficult for me — to handle all this. And of course the money lasted. So Don and I went to Bern to the legation, and to save money I rang up my sister-in -law, to ask if we could lunch with her. They did give us the visas via Pakistan all at one go, and they hardly charged anything. Don and I went back to Geneva, and the group could leave in a few days in the plane for Pakistan. I think this happened because Baba had to take this route; I'm sure that lockout happened because Bombay probably wasn't so important to Him and also the legation came to know about it. I think it was Baba's work which we can't always fathom. Now I think I've told a lot; otherwise, I have nothing left for next time! Q: How did your father hear of Baba? A: In some way as a young man he went through a terrible crisis and he came to be interested in looking for God. He went through different stages, he contacted different people; also there was a known master called Bo In Ra, and there he met Hedi's husband, Walter Mertens, who was then married to his first wife. From that time my father and Walter were friends. When that master died, my father had another master. He was always looking, always got a master a bit more advanced; he knew he had to go in stages, just as in school you don't jump from first grade to the sixth, but go from one class to another. I’m very sorry Hedi and Gisela only told me lately that it was my father who introduced Walter to Baba at the first meeting, I think it was at the house of Hay Hasse, a painter. But I don't know how my father knew Baba before Walter. Thus the first time Baba came to Switzerland, it was my father and Walter whom He met. Later Hedi and my mother came in; then I found the photo. 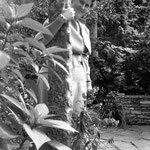 Really, my father was very earnest, he was an international businessman but his earnest striving was always to find God. Every morning very early he would write notes; most unluckily before I was aware, most of them were thrown away. But I found, in a book, a note where Baba is sort of praying or thanking Baba. I still have it at home but it's very faint, it's written in pencil. I have a letter where father wrote to Walter Mertens to thank him for an invitation. These are two I have from my father. Of course I knew he knew Baba but I would have liked to know really how it was at first but they only told me about it when my father had already died. Kitty: Anything from the blue bus tours? Jangoo is the nephew of Mehera, the son of Rustom and Freny. The two boys who were living in the ashram were Jangoo and Merwan, the brother of Eruch. I felt he never got free of the stomach of his mother because he always put his head there — don't you remember? I felt he was tied to the strings of his mother. She was Gaimai, sort of a universal mother or something! So dear and jolly! Now Merwan works with Meherji; I heard he has been so ill. These two young boys, Jangoo and Merwan, stayed at the ashram of secluded ladies — they were the only men allowed. Really, I mean, they were boys. Q: Were you surprised, did you have any inkling when you went to India that you would stay as long as eight years? Well, Baba said to me, "You come for two years." But you see, even when I came here now, it's strange, I didn't make any plans — I just came. So it was the same then. Oh, I must tell how I arrived in Bombay . . . You see, when the news came to come to India, we had letters (I sent you, Kitty, some copies of these letters). 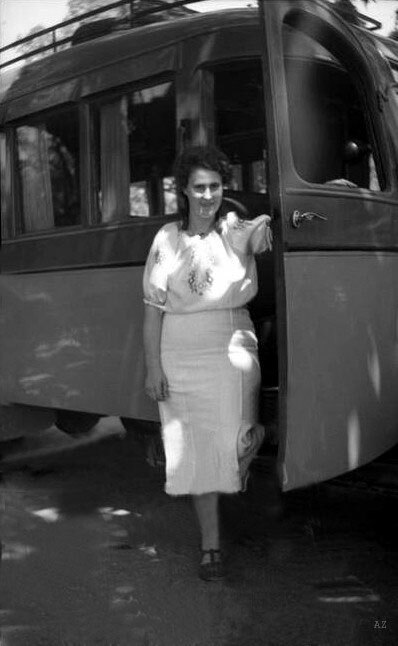 It was decided after all the discussion about those people who could come or couldn't come that one would be Hedi Mertens, who had been so ill. Everybody said, How could she travel that way, but I think she would have died if she had stayed at home, so if she came and died, it wouldn't have mattered anyhow. She was really ill, she had these colic attacks and most of the time she was in bed. 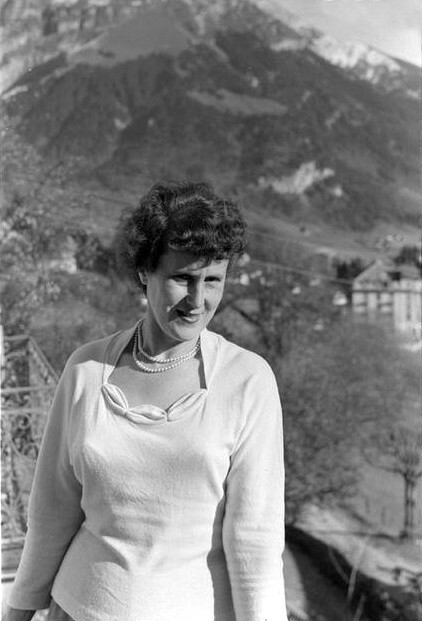 There also was Countess Nadine Tolstoy, who was in Switzerland at that time. She happened to be from the same place where my father stayed in Russia; she was very happy that my father could speak such fluent Russian, because she could not speak it with anyone else; Her father had been Commander of the harbor where my father had stayed. Of course they didn't know each other then. So Nadine came to our house very often for lunch, and talked to my father; we talked on Baba also. Also Helen Dahm, the painter of the dome of Baba's tomb, went to India with us — Nadine, Hedi and myself. 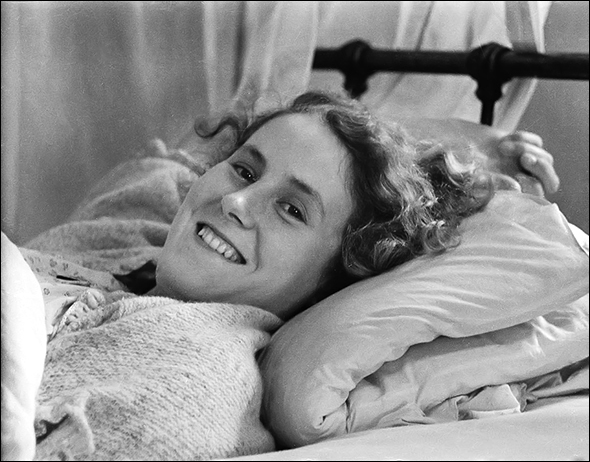 In 1938 I was 21½ years old, on paper, but I was younger, naive, you know, as one is if you stay at home and don't have to battle with life, and have a careful home. I was so naive, I was like a 16, 17 or 18 year old in many ways. Usually I always used to like old ladies, because both my grandmothers had died, and I had some old neighbors I adored. But when I got on the boat with these old ladies, I really didn't like them any more. Of course they were nice, but Baba saved us a little bit from the worst, as I'll tell you. 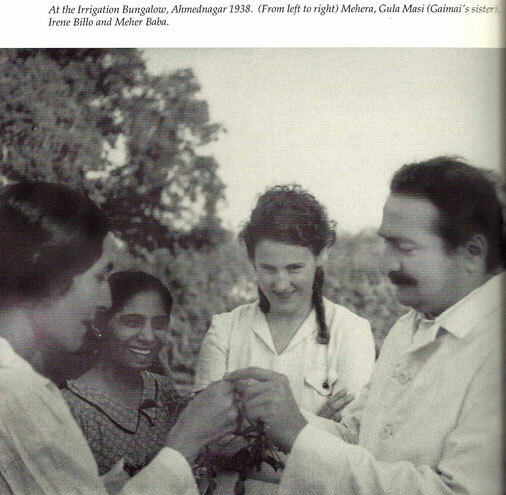 Norina said we should bring at least a bed or something, because we would have nothing in India and they also had written that we should renounce everything. But what does one know of renunciation? Nothing, until one encounters part of it! First we went to Venice, it was wonderful. I've read this lately in Hedi's report — that I ate a whole thick box of Swiss Frigor chocolates!! I wasn't a bit sad at leaving home or my friends or my fiancé or anything. I was just so happy to go to Baba in India. Already in the train some wanted to talk and some didn't want to talk; and I always used to like to talk. Of course Hedi wasn't so old as the other two, but you see when I think I am older now than Nadine and Hedi were at that time, they were about 60, and now, I am 64 so I am talking of old ladies! As soon as we boarded the boat, the Conte Verde, in Venice, we thought we could still buy certain things which we needed, like topis*, but it was the 15th of June, a Catholic feast day, and all the banks and stores were closed. We could not buy anything, so we walked around a bit, then went on board. The Captain immediately whisked Nadine Tolstoy off to first class because a Countess couldn't stay down below in the tourist quarters. 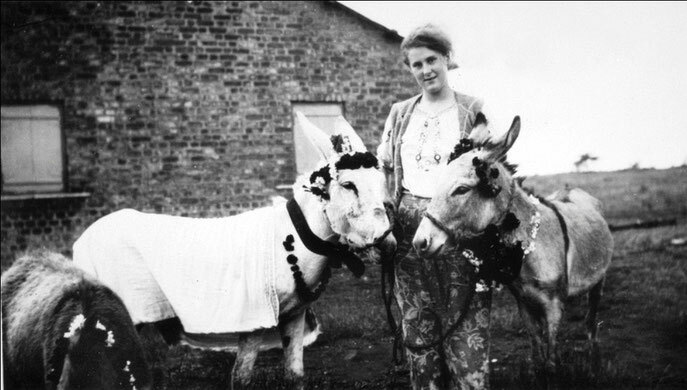 It was lucky, because Nadine was a fidgeter, and Helen couldn't stand it because she had lived so long alone. When I say this, it's nothing, because I love both them very much, I'm only explaining. It was Baba who saved us by having this Captain take her to first class, because for Helen it would have been hell. She had lived a very hard life, she wasn't a successful artist then, I don't want to go into details but she had lived in an old peasant home, all alone, and had been very "spiritual", with ghosts, and occultism, and so on. Before one meets Baba everyone has their own way. She had these funny clothes on, you know, sort of home-made, so on the boat people thought she was a communist! 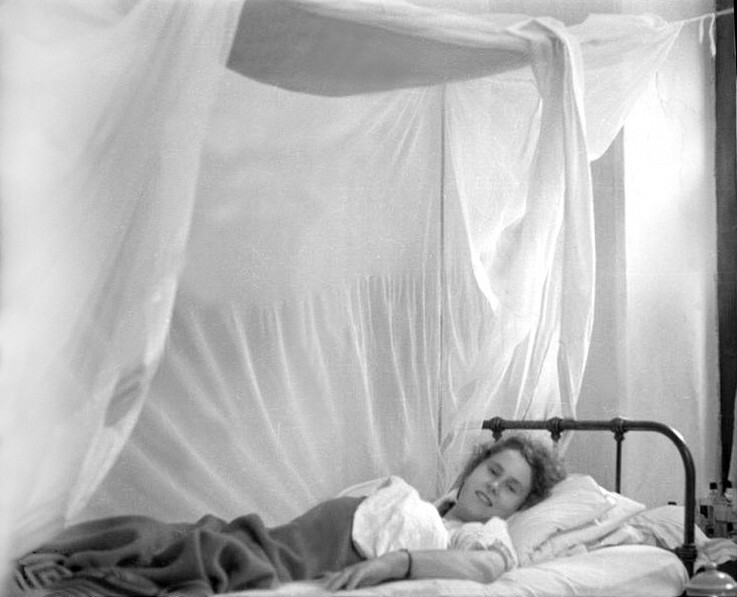 In our cabin the three of us shared, Hedi was very ill. I was to look after her, and I did. 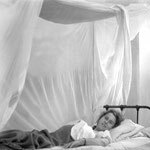 But imagine this: Helen had some pure silk shirts, cut square like a kimono, which she damped every day in eucalyptus oil and hung up in the cabin! l was so happy and gay, I had travelled before to all European countries but not on a boat, not overseas, going to Baba. I was up for it, as you say. I must have looked attractive, because those Italian waiters always gave me double portions of everything. Imagine how Helen felt, who had suffered so much — and here is this stupid spoiled girl . . . What right has she to come to the Master, there's not this much of spirituality in this girl, she eats double portions, the waiters do everything to please her! Of course I enjoyed it. I liked it, it was just given to me, I didn't ask for it. She could have asked for a second helping if she wanted it, but they didn't bring it to her free! So imagine how they loved me! I also started to make connections with the many Indian students and their families on board who were going back to India. It's my home country. When Nadine heard about it, she wanted to invite me upstairs because there were not enough European women. There were officers in the first class who wanted me to come up and dance. And of course there was the cinema. Nadine came down and said I didn't behave like a European, I shouldn't associate with the Indians, it’s not done! . . . .Anyhow, whatever I did was wrong, you know; they just put me down wherever they could, then Hedi and I both got sick; and Nadine and Helen said, one should overcome this by one's spirituality. We were so sick, but these students were looking after us, they were very kind. Suddenly, I felt, after this, with everyone finding such fault with me, 'I'm not spiritual, I’m nothing.' I thought, how could I come before Baba, I must be an absolutely unworthy person, and so I sent a cable to Baba saying I had doubts, — not about Baba but about myself. I had great doubts that I could live up to what Baba expected me to be. I should have known that if Baba called you, however low you are, He wants you, so it wasn't for me to be concerned. But I sent the cable. When we arrived in Bombay we were so happy to get there. It had been so hot and sticky in our cabin, in monsoon weather. Also, when you sat in your sea-water bath, the waves went up and down like this and you either had it in your face or on your feet! It was lovely to see the gate of Bombay! And we were going to see Baba soon! Elizabeth came to greet us, all sweet and loving and Princess Norina with her cape, and Dadachanji, Baba's secretary. Norina immediately headed towards me and said, "Irene, sorry to say Baba will pay for a first-class return ticket for you, He doesn't want to see you, you can return on the first boat!" I was stunned — luckily I controlled my mind, I kept my head. I said "Norina, I didn't mean it that way. Because of these old ladies, excuse me, they harassed me so much I felt I wasn't worthy to come to Baba. But I didn't mean I doubted in Baba, but Baba turned the cable around to mean I had doubts in Him. So He doesn't want to see me, He doesn’t even mind spending for a first class ticket home, if I leave with the next boat." So I said, "Norina, now please send a cable to Baba. And say I've come to India only and solely to see Baba, with no expectations, nothing at all, not wanting God-realization or goodness knows what — but just to see Baba." I would be unworthy of that anyhow. Still I had no expectations, only to be with Baba under any conditions. So Norina cabled. Of course I didn't see the report. While they put garlands on us and we were driven around in Bombay, I cried. I didn't see anything. I just cried. We went to the hotel and I gladly would have jumped down, you know, leaped to my death. It was terrible, I thought I had disappointed Baba. Of course, now I would have known better, but Baba doesn't catch you if you know it, He only catches you when you're not aware of it. Then Baba said, Alright, I could come, and I was relieved. I think the others who were ill went by train, and we went by car. We arrived late at night in an office building in a cantonment in Ahmednagar. Kitty came and said, "Shh!! Baba is going to sleep," and whispered we had to keep going quietly. We had the end room; we four were together again, Hedi near the window, I opposite; there was another window there — and Nadine — and here (pointing) was Helen. No, it was square. The other room was long, and outside were little benches, you know, not high, like this, and little stools to take the meals. So — not one word was said anymore; Baba never mentioned it, never said a word afterwards, and of course I wouldn't say anything, I was just there. 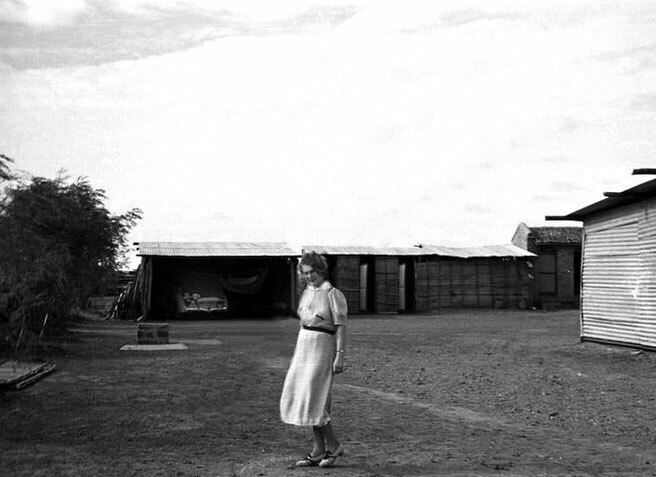 The others Baba sent home just before the war; nine months later Helen and Hedi went back. Meanwhile, Walter Mertens came and wanted to take Hedi back, but then Baba said to wait. We toured India with Baba. 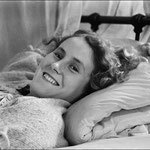 Helen became ill, she had dysentery; I even stayed with her in the hospital, in Bhopal, and afterwards Kitty wrote that they had nice rooms ready for us and I thought, I wished, if only this Helen would get well soon! But you see it was so difficult. If I took my meals inside she didn't like it, if I took them outside she didn't like it. The poor thing didn't understand English. People can say what they like — to Helen it was a great test, it was very brave of her to come to Baba. So I shouldn't say anything negative. If you think of what she'd gone through! Baba didn't ask her to give up everything, He only said come for two years. But she sold off everything, why? I have at home a typewritten note in German, with the date when they left. Baba explained it. The mistake Helen made, — (yet it wasn't a mistake because Baba also wants things to be this way) — was that she wanted to realize herself, and if you go to a Master, you don't realize yourself, you realize the Master. I think there are so many ways to see things. When Baba used to tick off one of us, I think there wasn't one of the others who didn't feel it was for him too. Whatever Baba said fitted all of us, we all had these nooks and corners in our hearts, which were not right. Now I think I've said enough.